So, I know we’re a little late to the party on this one, but we finally got a chance to try out Corner Taco’s new(ish) brick-and-mortar location on Post Street. 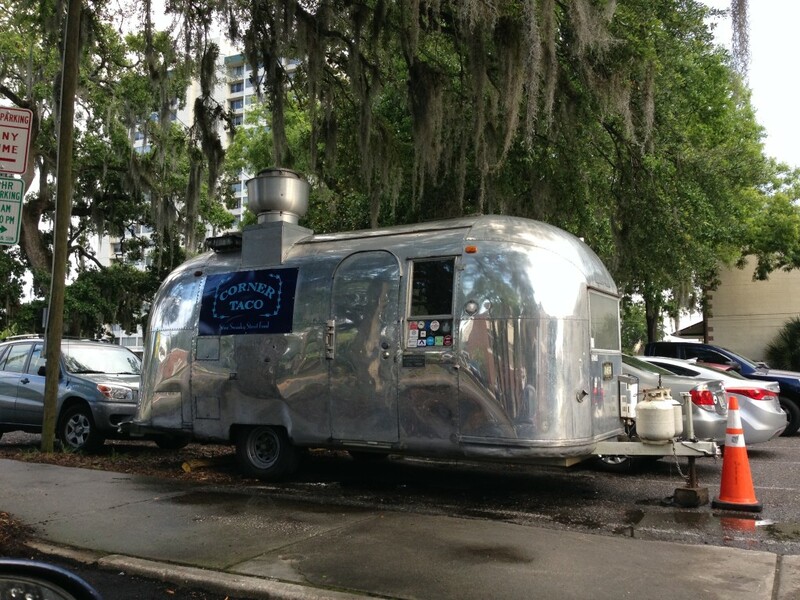 Owner Chris Dickerson has been doing the food truck thing in his Airstream trailer since 2012, and recently expanded and opened up shop in the Five Points area back in February. Corner Taco food truck fans (ourselves included) rejoiced. We were intrigued and excited to give the new location a try. First off, the atmosphere fits Corner Taco to a tee. It feels cozy and warm, but still quirky and a little eclectic. 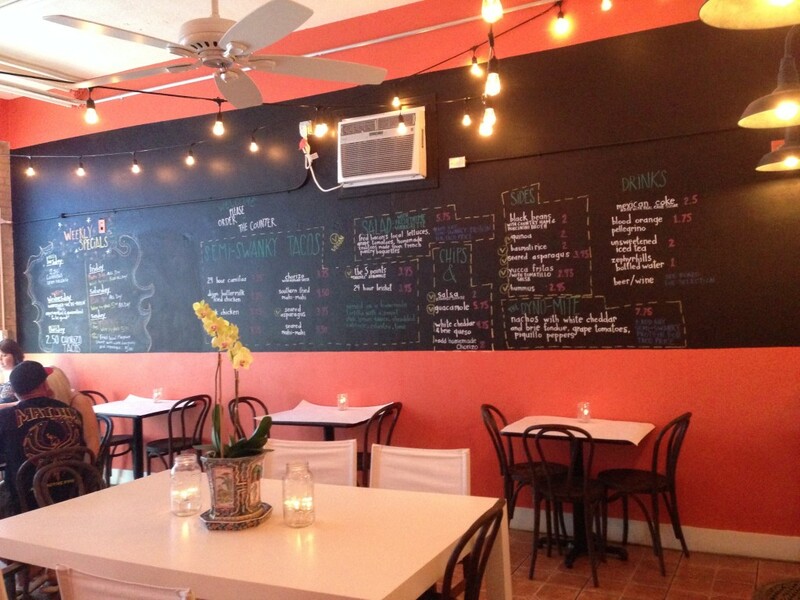 From the chalk board menu, corrugated metal accents, to the burnt orange-colored walls and semi-private high top tables. The space perfectly captures the semi-swanky style of Corner Taco, right down to the cardboard trays holding the food. And the Airstream parked outside pays homage to how Corner Taco got it’s start. We ordered at the counter and then grabbed a seat. 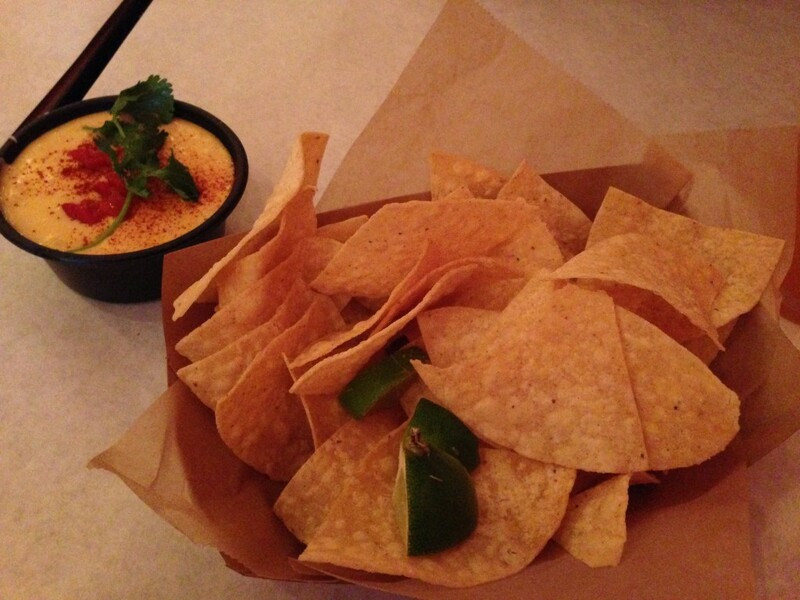 We started out with the Cheddar & Brie Queso ($4.75) with tortilla chips. The chips themselves were just your typical corn tortilla chips…nothing special about them. But the queso was great. It was thick, rich, and perfectly cheesy. The Brie gave it a nice flavor, different from your standard queso. 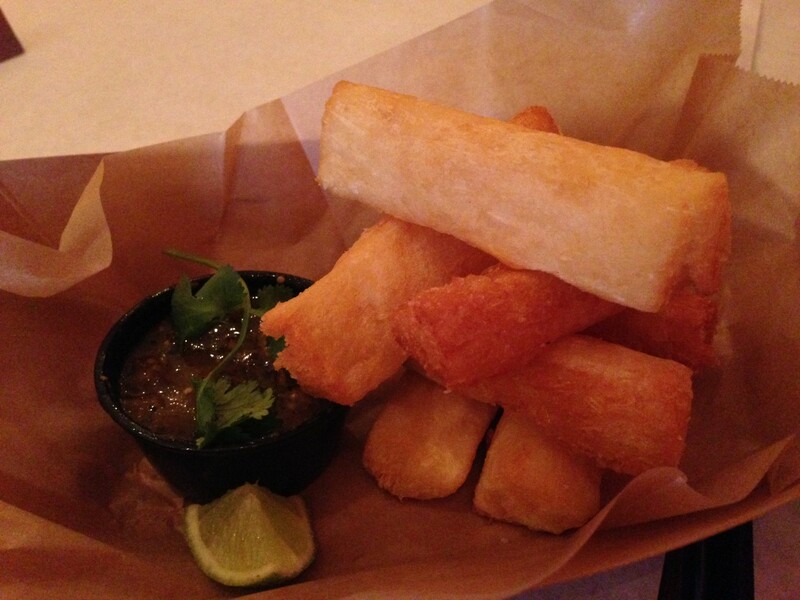 We also ordered Yucca Fries with Tomatillo Salsa ($2.95). They were thick cut strips of yucca, crunchy outside, but still moist and tender inside. A lot of times yucca fries can end up a little tough and dry inside, but these were nice and tender. The tomatillo salsa that came with them was a little bland for my taste. I would have liked a little more spice. But the Yucca Fries dipped in the Cheddar and Brie Queso…perfection. The tacos we tried were the 24 Hour Brisket ($3.95), the Housemade Chorizo ($3.75), the Seared Asparagus ($3.95), and the 5 Points ($3.95). The tacos were generally pretty simple and straightforward with a focus on fresh, local ingredients. Each one is built on top of a warm, soft corn tortilla. The homemade corn tortillas that Corner Taco serves are incredible…fresh and delicious. They served as the perfect canvas for each of the tacos we had. The meat on the 24 Hour Brisket Taco had spot-on flavor. But the fact that the meat was cut into big chunks (with some of the burnt ends thrown in there, too) made the taco a little hard to eat. The meat was nice and tender, but the big chunks made it hard to take neat bite-sized bites. The Chorizo Taco also had great flavor. The chorizo had a good spice to it. The shredded cabbage on top added a nice fresh crunch. 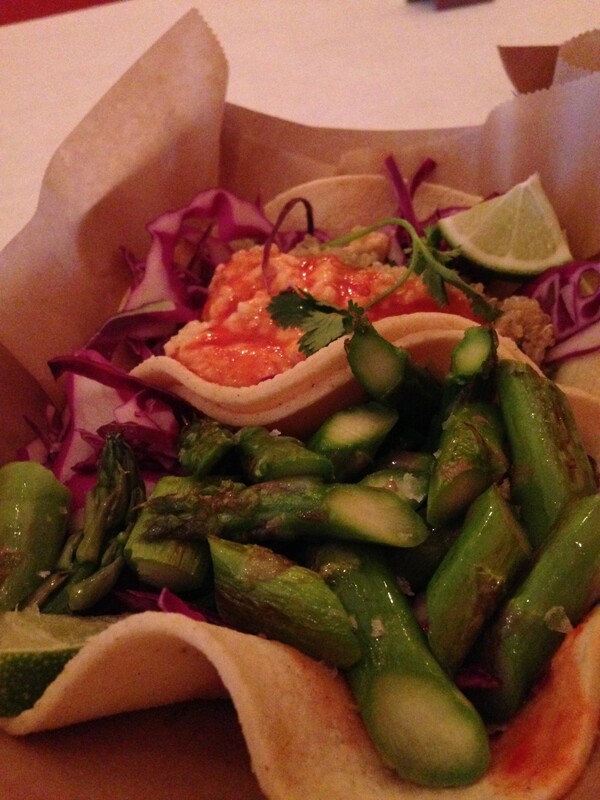 The Seared Asparagus Taco was always one of my favorites to order off the truck, so I was excited to try it in the restaurant as well. The focus on fresh ingredients is especially evident with this taco. The asparagus was perfectly cooked and presented in a very simple, no-fuss way with their standard shredded cabbage and a light vinaigrette dressing. It makes for a really tasty fresh-tasting taco. I was most excited to try the 5 Points Taco. I’ve heard so many good things about it and I love that it is sort of a shout-out to Corner Taco’s new home in the Five Points neighborhood. It did not disappoint. This is not only a fantastic vegan option, but a really tasty taco in general. I am usually not a huge tabouli fan, but the quinoa tabouli was wonderful in this taco. Add to that the rich creamy hummus and more of that crunchy cabbage and I was in veggie taco heaven. The food that we had was good and affordable. The menu selection includes a lot of the same items that were offered in the food truck days at the same price points, which is awesome. There are also a couple of newer, swankier additions including a selection of wine and local beers. Over all, it seems like Corner Taco is still serving up food truck food. It’s really really good food truck food, but it’s not much more than that. I expected a little more from a brick-and-mortar restaurant. A few more “entree-type” menu options would have been nice. The service while we were there left a little to be desired. It was pretty comparable to service that you get when ordering from a food truck. I take that back…I actually think the service that I got when I frequented the Corner Taco food truck (and from Chris himself) was better, friendlier, and more personable. When we went into Corner Taco, we looked over the menu, ordered at the counter, paid, and then seated ourselves. Our food was brought to the table and that pretty much ended our interaction with the servers. No one came over to ask how things were or if we needed anything. There were a lot of employees milling around, but no one really seemed to be attending to any of the diners or offering much service at all. If you are a loyal Corner Taco food truck fan, then look no further. This is the place for you. It’s a lot of the same food you know and love from the Airstream. And the price is right. Add to that the quirky, comfy ambience and this is a great place for a hip date night or for a fun family meal. But, if you’re looking for a new place to try and you’ve never frequented the Corner Taco food truck, you may be a little taken aback by the relaxed, laid-back service. And you might be a little surprised when your food is brought to you in a cardboard tray rather than on a real plate. I love that Corner Taco has stayed true to its food truck roots, I really do. But the overall experience left me wanting a little more from a service and menu perspective. Corner Taco definitely has a specific style and quirky branding to it and I’m pretty sure the laid-back, nonchalant service is at least partly by design. But some people just may not “get” that whole “semi-swanky” vibe and may expect a little more from their dining experience. 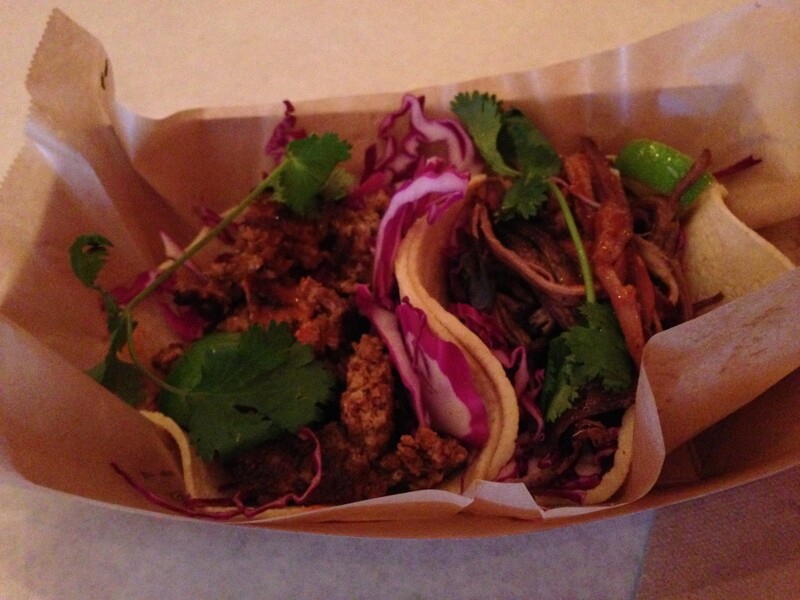 For food truck fare, you can’t really get much better than Corner Taco. Seriously. As far as their new brick-and-mortar venture, it may need a tad more tweaking to appeal to a broader audience. For this review we welcome a member of our own JRR family: Rhonda Kovar is a former call center manager turned stay-at-home mom. She grew up in the heart of North Carolina and moved to Florida after getting hitched in 2002. She is a graduate of Lenoir-Rhyne University and a lover of all things crafty, musical, or edible. Rhonda loves finding new and delicious ways to turn her two tiny picky eaters into future foodies. 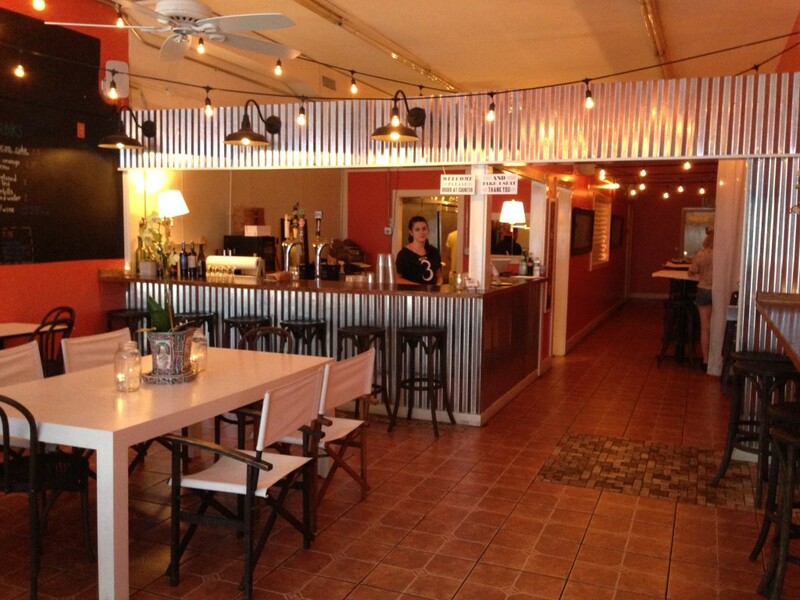 Tagged farm-to-table, Food Truck, Gluten-Free Friendly, mexican, Modern American, outdoor seating, romantic, Serves Alcohol, tacos, vegan friendly. Bookmark the permalink.